Experience life in a bustling European city as a Saint Louis University student. Outside of class, pursue your passions through extracurricular activities both on and off campus. As a student at SLU-Madrid, you can compete in league soccer, debate current events or bring Shakespeare to life on stage. 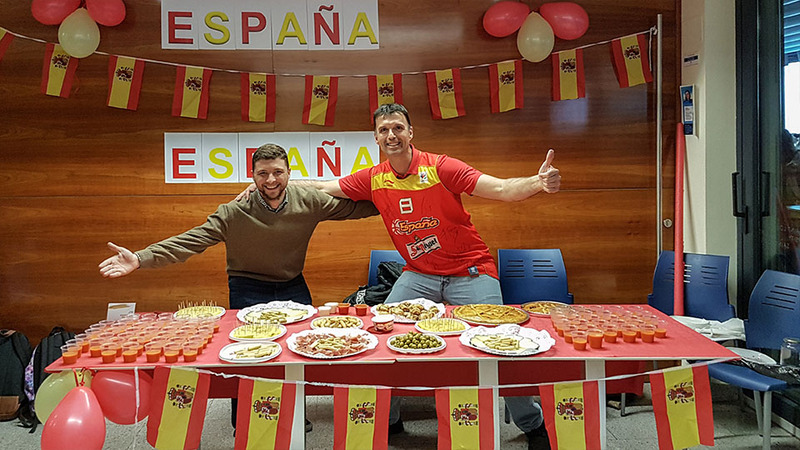 You can play basketball, volleyball, tennis and over 20 other sports — a great way to meet Spanish people and get to know Madrid. What’s more, you can hike, ski or even kayak in the nearby Guadarrama Mountains. At the same time, you can also learn how to play the Spanish guitar or dance flamenco. Students at the Madrid Campus publish poetry, put on art shows and perform in musical concerts. They are actively engaged in clubs and organizations on campus and across the city, including the Student Government Association, the Campus Ambassador Program, the Model U.N., the Human Rights Club and more. Distinguished speakers reflected on their past experiences and evoked ideas of progress and hope at SLU-Madrid's third annual TEDx event, "Transcending the Everyday Life State." 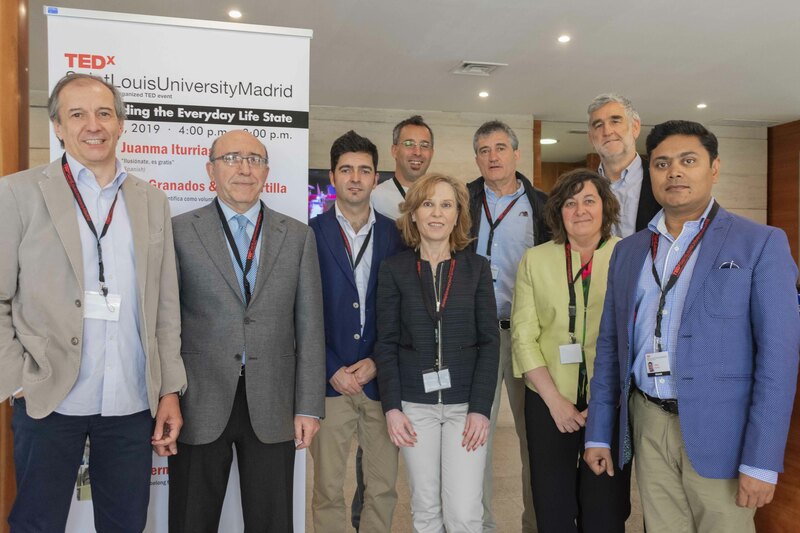 As part of the 9th annual Atlas Week, SLU-Madrid organized panel discussions, debates, poster displays, guest lectures and workshops addressing the theme, "Migrants and Migration: the people behind the numbers." 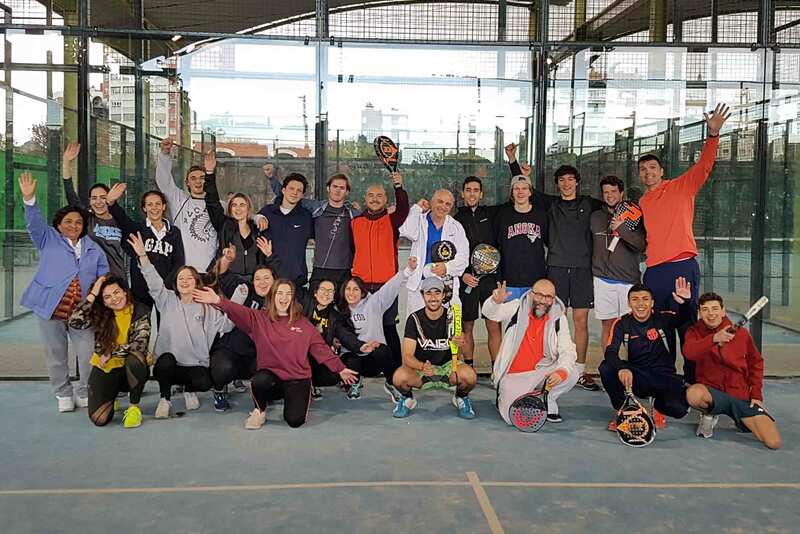 Students, staff and faculty came together for SLU-Madrid's first Paddle Tennis Tournament Fundraiser, raising over 200 euros to support Casa Ronald McDonald, an NGO that assists with the housing needs of families with children who are hospitalized. The Madrid Campus welcomes students of all faiths and religious traditions. Extensive outreach and service programs give you the opportunity to grow as an individual who is deeply committed to others. Do You Like To Travel? Whether on your own or with the University, you will be able to experience Spain, the rest of Europe, and beyond with the Madrid campus as your home base. Many academic courses incorporate study trips to destinations in Spain and Europe to enhance your understanding of concepts explored in the classroom. The Office of Student Life sponsors day and weekend excursions and can provide you with insider tips if you’d prefer to travel on your own. Madrid’s Adolfo Suárez Madrid-Barajas airport, connected to the city by metro, makes it easy to take direct flights to cities all over Europe and beyond: Rome, Paris, London, Athens, Marrakech and more.